It goes on smoothly without leaving a sticky feel at all, and it instantly moisturizes my lips. There is absolutely no smell to it, so it's an ideal choice if you're sensitive to scents and/or chemicals. The best thing for dry lips and this small container is way easier to carry around or travel with then taking a tub along! I also will use it for my baby's face when it gets really dry overtop of another moisturizer to seal it in. 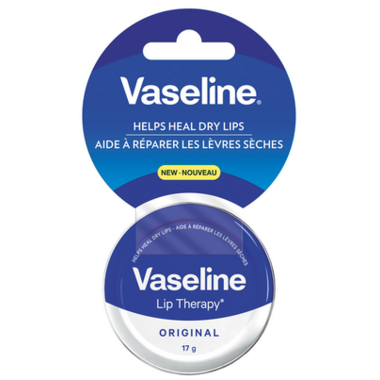 I know "Vaseline" anything gets a bad rap but it really is one of the best things for dry lips. 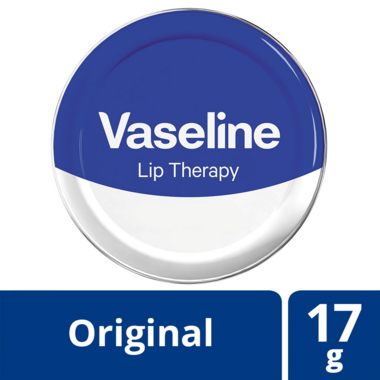 The molecules in Vaseline, and Vaseline products, are too big to penetrate the skin, rather it seals the moisture in the lips and prevents things like the wind and cold from stripping it out. I'm one for natural products but I still use this because nothing works like Vaseline lip products do for my dry lips. My tip is to lay a very nice nutritious oil down on my lips, like marula or maracuja (or whatever you like) and then cover with a Vaseline lip product or just Vaseline. Dry lips be gone! !